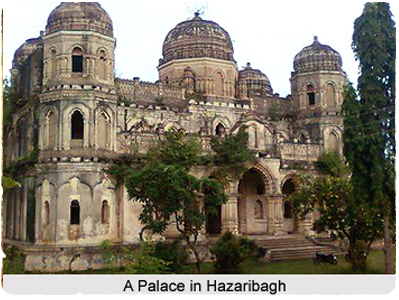 In ancient times Jharkhand was under the sway of the various dynasties that riled India. During the British period several tribal uprisings took place against the colonial power. The tribal people of Jharlkahnd also rose against the British. The Kolarian tribes of Chottanagpur were resentful of the authority of the British in their territory. These tribes were ruled by the petty chieftains called Raja. The British occupation of Singhbhum was not to the liking of the Raja of Parahat whose subjects Has furiously guarded the frontiers and were in no mood to allow the entry of the official into their territory. In 1827, large number of Hos were killed. The Mundas revolted against the British in 1931. The revolt spread over Ranhi, Hazaribagh and Palamau. The Mundas were joined by the Hos. The rebellion was suppressed in 1832. 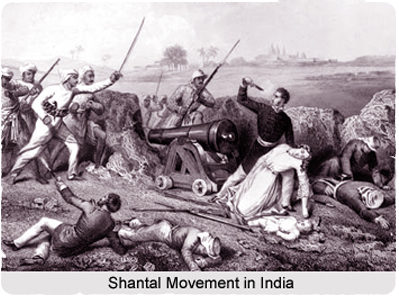 The Santhal rebellion broke out in 1855-56. The rebellion which spread in SInghbhum and Hazaribagh, was caused by economic exploitation. The Dikus(outsiders) charged exorbitant interest on loans. The tribals resented the British official’s protection of the Dikus. Sidhu and Khanhu were the two leaders of the Santhalis. They were captured in 1856 by the British who crushed the revolt with iron hands. Tamar revolt of 1795 was another tribal revolt against the British in Jharkhand. The most prominent of the Tribal uprisings in Jharkhand was the one by Birsa Munda in 1899-1900. Birsa Munda was the son of sharecropper. He was captured by the Nritish and died in Jail. He was regarded as an incarnation of God and Father of the world (Dharti Aba). About 350 Mundas were tried. Three were hanged and 44 transported for life. The movement for a separate Jharkhand state comprising areas of Bihar, Odisha, West Bengal and Madhya Pradesh commenced in 1920s. a series of violent incidents took place between 1938 and 1947.